Situation/Background: Katerra Corporation was a spin-off from Miacomet, Inc. Miacomet’s VP of Development, Rusty Dawe, a highly regarded engineer and architect in the software industry had worked on the first truly massive multi-user internet gaming platform at Sierra On-line/Imagination Network. This work was later purchased by AT&T and ultimately found its way to America Online (AOL) as the foundation for WorldPlay. The project was buried at AOL, and the disappointed development team scattered to other companies. Upon learning about this project and its potential, I asked Rusty Dawe to determine which of the original 12 member team would be available to pick up where they left off if the project was resurrected and funded. The answer was 8 out of 12 were willing to pursue completing their dream, and the others would join over time as they finished existing projects. This project was labeled “Omniworlds” as the technology would allow the ability to build massively multi-user interconnected 3D worlds. The project overview document, created by Rusty Dawe, along with a business proposal was presented to the Miacomet, Inc. board of directors for approval to be funded and spun-off as a unique entity with unique business goals that complimented Miacomet but required a focused management team and corporate identity. The Miacomet board of directors approved pursuing the Omniworld project and Miacomet’s primary investors, Dennis Kozlowski and Mark Swartz of TYCO Industries, agreed to cover the entire seed round of $6M for the venture. The venture was initially renamed eWorlds, Inc. and ultimately settled on the trademarkable name of Katerra Corporation. The name was derived from the Egyptian word for spirit or soul “Ka” and the Latin word for earth or world “Terra”; this seemed appropriate for a project in which we would create Avatars of people that represent their essence or spirit and place them in 3D worlds. Position Objectives: After post seed round funding the key first year objectives were to 1) hire the management talent required to build and bring to market the 3D client/server development technology and related software; 2) meet or exceed development spending and implementation milestones; 3) build relationships with strategic business partners, and 4) line up post-seed round financing partners. Issues: The technology being developed was extremely complex and could easily be subject to delays. Management and engineering talent were very hard to attract given the rapid growth of .com organizations. The adoption and deployment of broadband connections in businesses and at home would be crucial to the success of the company. 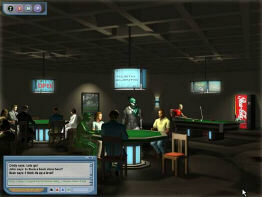 Continuum game room-player avatars play and converse in virtual world. The company attracted and recruited all senior management and core engineering talent in first three months of operations. The company successfully ramped up operations in Oakhurst, CA, Woburn, MA and Springfield, MA growing from 0 to 40 employees (primarily development) in 6 months. Company communications and accounting backbone technologies in place and operational. Company after ten months of operations met every development milestone and was almost $1M under budget. The company had recruited the first 3 Beta test customers and was in active discussions with the top five gaming publishers regarding developing strategic partnerships. We updated the business plan and contacted over 30 Venture firms in efforts to raise post-seed round financing. Turning Point Event: The .com crash and technology market downturn in Q4’00 disheartened the companies key investors and securing early stage financing on a timely basis became a major point of concern. Another significant issue on the primary investor’s minds was the reality than a short-term move to IPO would most likely not be possible given the dramatic shift in the investment communities views of Internet-related stocks. Response: We prepared M&A documents. The company pursued dual paths of seeking next stage funding and merger or acquisition partners. Over time it was clear that the .com crash made it a poor time to raise additional capital and company technology and intellectual assets were sold. The details of who purchased the assets are confidential, but a major industry gaming company leaped forward in its technology and success as a result of the assets of Katerra. End Note: Katerra was just a few years ahead of its time. The genius of what went into the creation of the technology and platform was awe inspiring and led the way for some very successful enterprises today. 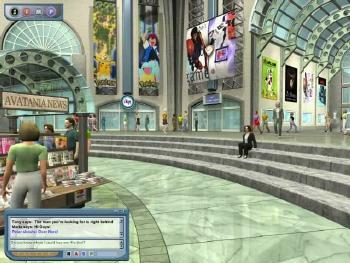 The virtual shopping mall and avatar-based virtual conferencing have yet to manifest, but will soon. -rh June 2016.